Welcome to this 30th Issue of GAC UPDATE. For those of us here in the Southern Hemisphere Spring has sprung and the summer should be on its way - of course bringing with it the perennial threat of bird strikes from migrating birds. 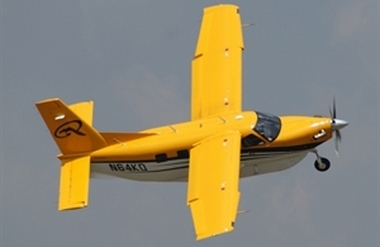 Have a look at the fixed wing safety incidents record for September and you will see this reflected therein. In the section 3 below IATA are again calling for IOSA Certification to be mandatory for all airlines in Africa. In order to achieve any acceptable level of aviation safety in parts of Africa, it will be necessary to start right at the beginning in the Check-in Hall where chaos reigns supreme with no queuing system, bribery being rife in order to get onto a flight for which one holds a paid for ticket. Tickets with names and details on which bear absolutely no relationship to the actual passenger who is travelling (child's ticket with an adult being the passenger). From there we have to get onto the subject of incorrect passenger figures/head counts, passenger break downs (Males/Females/Children/Infants) and baggage and cargo weights. With load distribution being a complete fabrication only to be outdone by completely unrealistic under-loads. Whilst some dispatchers do hold proper licences some of the work that comes from others defies belief. If IOSA Certification is made mandatory for the airlines then, in my opinion, so should ISAGO Certification for the Ground Handling Agents. Of course one should keep in mind the requirement for Captains to be observant and watch out for incorrectly compiled loadsheets. 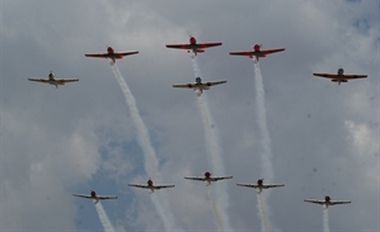 The Rand Airport Air Show took place on Sunday 29th September and despite the weather forecast claiming a sixty percent change of scattered thunder showers the weather played along and allowed the show to go on. The weather held until thirty minutes after the displays concluded when a fierce wind had all the spectators run for cover. Luckily all the planes had already made their way back to their hangars and the visiting planes had departed to their respective airports. True to form once again this proved to be the biggest and best air show in the country starting with a 15 Aircraft formation of radial engine aircraft consisting of 11 Harvard's, 2 Trojans, a Beech 18 and a DC3 Dakota. Standing on the roof of the Terminal Building looking to the west and seeing all these planes appear out of the haze in formation and in order of type and size was such a great moment that being there could not be described in words, only a picture could truly show these magnificent aircraft and their pilots showing off to the crowds. Even if you are not an enthusiast and a diehard you could not help but feel a surge of adrenalin course through your veins seeing these magnificent aircraft come into sight, one after another, pulling up with smoke pouring from the exhaust. The rest of the day went by with one display after another which kept the crowds entertained and enthralled, with jets, helicopters and even a race between a formula Renault and a helicopter and the Mazda Zoom Zooms took on a Mazda x5. These daring displays were all accomplished by the highly skilled and qualified pilots doing what they do best, guiding these, in today's' terms ancient workhorses, through the skies doing breath-taking manoeuvres yet making it look so effortless. Seeing the Silver Falcons in action, knowing that the lack of funds had cut their wings and that they were no longer seen at most air shows had made their presence even more spectacular. Securing these at the show was made possible by the intervention of the main sponsor Master Technologies which deserves a round of applause for this. Menno Parsons showed off his immaculate Mustang which had the crowds enthralled for the duration of his display. A display by Larry Beamish in a Lear 45 Jet was spectacular and a fitting end to a great flying day. Brian Emmenis kept the spectators involved by providing historical facts and technical specifications of each plane that took to the skies and the CV of the pilot behind the controls. It takes months of planning to put together a show of this magnitude and hats off to all involved from the administration staff, ticket sellers to the emergency personnel and last but not least the programme coordination done by Arnie Meneghelli and Scully Levin. No air show can however materialize without permission from RAASA and without the display coordination ably managed by Francois Hanekom, Rickus Erasmus and Grant Timms. One cannot help but wonder whether our kids and their kids will still have the privilege to witness these craft in all their glory or will the thrill of seeing these in action be forgone by a game on the I pad or cell phone. It was therefore so rewarding to hear that some of the older pilots were accompanied in the air and formation by their children which spells hope that this is not a dying profession or pastime and will continue with generations to come. On the 17 of September the International Air Transport Association, IATA, urged African governments to make the operational safety audit also known as IOSA mandatory for all airlines to improve the continent's appalling safety record. The IATA Operational Safety Audit, IOSA, is mandatory for all IATA members. Tony Tyler, IATA Director General and CEO, who spoke in Lagos, western Nigeria, argued that in 2012 none of the 25 IATA members in Africa had an accident. "None of the 384 airlines on the IATA Operational Safety Audit (IOSA) registry had a jet lull loss - including some three dozen carriers on this continent," Tyler said at an event labelled Aviation Day Africa. "I take this opportunity to urge them (African governments) to make IOSA mandatory," Tyler said. Africa, he said, remains the continent with the least flights but with the highest number of accidents. "In 2012 African airlines had one accident with Western-built jet aircraft for every 270,000 flights. Globally, the industry average was one accident for about every five million flights," Tyler said. Put another way, he said, African aviation accounted for only 3 percent of global traffic but nearly 50 percent of the fatalities with Western-built jets. "It is clear that IOSA is making a difference - not just in Africa, but in safety globally," Tyler said while urging African airlines to embrace its safety audit. He said although IOSA can assist governments in safety oversight, it is not a substitute for effective safety oversight by Civil Aviation Authorities. Tyler called on African governments to meet the Abuja Declaration's 2015 for safer skies on the continent. The Abuja Declaration focused on establishing independent and sufficiently funded civil aviation authorities, implementing effective and transparent safety oversight systems by all African states and completing IOSA by all African airlines as well as implementing accident prevention measures focuses on runway safety and loss of control. It also urged African governments to implement flight data analysis and safety management systems by all service providers. Information on the SA CAA listings can be found on their website www.caa.co.za . INC	29 Sep	TBA	Zalengei Helipad, Central Darfur, Sudan	0	During the emergency landing following a technical fault requiring return to base, the aircraft crashed and was badly damaged. All 19 passengers and 4 crew members were immediately and safely evacuated off the helicopter. HAZ	All	Goma, DRC	Volcanic eruption risk. Volcano monitoring station is shut down due to rebel activity causing serious threat to the scientists' lives. After the successful issuance of a tender in August, German NGO Welthungerhilfe (German for "World Hunger Aid") and the Democratic Republic of the Congo's air navigation services and airport management provider, Regie des Voies A�riennes (RVA), have signed a USD15million contract to rehabilitate 500m of Goma International Airport's runway 18/36, previously covered with hardened lava. A signing ceremony was held last week in the eastern Congolese town, situated on the northern shore of Lake Kivu, next to the Rwandan town of Gisenyi, and was attended by Congolese Minister of Transport and Communication, Justin Kalumba, and representatives of Welthungerhilfe. Funded by the German government, the 6-month contract will involve the re-asphalting of the 500 meters of the runway that were inundated with molten lava during the January 2002 eruption of the active volcano, Mount Nyiragongo. The works will be undertaken by Congolese contractors, Safricas. An important hub in Eastern Congo, Goma International Airport has suffered numerous air crashes over the last twenty years , largely due to its difficult approach, frequent poor weather and lack of reliable aeronautical infrastructure. Editor - Perhaps the sight of large equipment on the runway will jog the memories of Pilots operating into Goma and make them think that they are supposed to report runway hazards to their Air Safety Office! Offshore helicopter operators Avincis Group, Bristow Group and CHC Helicopter announced today they have launched a review of safety practices that will deepen their commitment to share best practices and consistently operate at the highest possible level of safety. The three companies leading this effort will reach out to other helicopter operators to encourage them to join the review group. The collaboration is an outcome of ongoing dialogue among chief executives of Avincis Group, the corporate parent of Bond; Bristow Group and CHC, but is expected to extend to other operators that can contribute to the group's work. It is anticipated the review will be conducted under the auspices of European Helicopter Operators Committee (EHOC). Plans for collaboration by the operators will complement a just-announced review of North Sea helicopter operations by the UK Civil Aviation Authority (CAA) -- in partnership with the Norway CAA and European Aviation Safety Agency (EASA) -- and will be done in cooperation with the International Oil & Gas Producers Association (OGP). Findings from investigations by the UK Air Accidents Investigation Branch (AAIB) and others into past incidents will also be incorporated into the group's work. Avincis Group CEO James Drummond said, "This initiative has our full support. There is no doubt in my mind that the combined efforts of the operators will further enhance safety for everyone in the industry." Bristow Group President and CEO Bill Chiles said, "By sharing best practices, we can effectively enhance safety for our clients and our crews. This initiative will combine the expertise and talents within our industry and will complement and fully support the work being done by HSSG and broader industry forums to identify best-in-class technologies, processes, procedures and training to meet the objectives of achieving better safety performance." CHC President and CEO Bill Amelio added that the joint effort will deepen the commitment of the three industry leaders to collaborate on safety. "There are and will continue to be plenty of bases for healthy competition between our companies, but safety must never be one of them. Everyone benefits when the people who rely on us for their livelihoods are able to return home safely, and it remains our obligation to do everything humanly possible to fulfil that expectation." 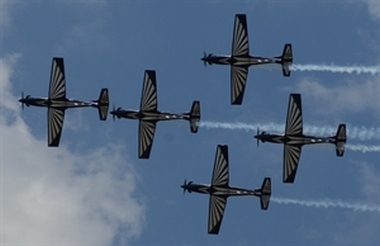 About 12,000 people attended the annual Rand Airport Airshow on Sunday 29th September. See Section 2 above. The next Safety Meeting will be held at 09.00 on Tuesday 5th November 2013. The next Safety Meeting is to be held at 12.00 on Tuesday 12th November 2013. In spite of a pending legal application by both Comair Ltd and Skywise to block its launch , nascent South African Low Cost Carrier FlySafair has outlined its initial timetable for multiple daily Johannesburg - Cape Town flights, was tentatively scheduled to launch on October 17. Flights will be operated by a fleet of B737-400s. Reservations are now open. Fastjet (FN) has announced that its first international flight between Dar es Salaam and Johannesburg, previously scheduled to take place on Friday 27 September 2013 , has been temporarily postponed owing to what it claims are "unexpected administrative delays caused by a very late request for additional documentation by the South African Department of Transport". The airline states that despite having delivered the requested documents, the South African DoT said it will take several days to process them, thus delaying the start of fastjet flights on this international route. Commenting on the news, fastjet Chief Executive Ed Winter said the postponement was "very disappointing" adding with a sense of pragmatism that administrative delays of this nature are not unusual in the markets in which his airline operates. "Having complied with all the requests made of us and secured all the necessary licenses and permits in an extremely diligent and timely fashion, fastjet was led to believe that we were fully on-track to launch this route on the 27th September," he said. Fastjet says it is confident it will be operating this service by mid-October but has offered no specific date as yet. The Nigerian Civil Aviation Authority's (NCAA) decree that no Nigerian carrier, whether scheduled or charter, will be able to wet-lease foreign aircraft for the purposes of commercial operations for periods longer than six months was set to come into effect from October 1. BusinessNews Nigeria reports that the development is part of the Federal Government's move to reform the aviation sector after it became alarmed at the number of foreign-registered aircraft being for wet-leased (i.e. 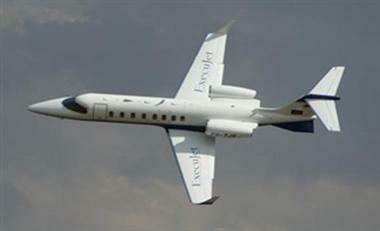 the contract involves the aircraft, complete crew, maintenance, and insurance) for commercial operations in the country. Among the airlines affected that have made tentative moves to conform with the directive are Arik Air (W3) whose two A340-500s on lease from Hi-Fly Portugal, (MCN 910 | CS-TFW ) & (MCN 912 | CS-TFX ), are to be reregistered in Nigeria as 5N-JIB and 5N-JIA respectively. Earlier this year, the country introduced legislature in its National Civil Aviation Policy (NCAP) 2013 which sanctioned jet owners permitting friends and business associates aboard their private aircraft. With the largest biz-jet market in Africa valued at USD3.75billion , about 150 private jets currently operate in the country and are owned by Nigerians. Denis Coghlan, the Chief Executive Officer of the ambitious Botswana-based start-up, Kalahari Airways, has outlined his long-term vision for the company in which he sees the establishment of Gaborone as a regional hub for flights to Hong Kong and the United States in addition to London. According to Chinese newswire, Xinhua, starting in early 2014, Kalahari will begin offering daily Cape Town - London Gatwick via Gaborone flights, likely using the three ex-Qantas B747-400s. "Later we will add Durban to Hong Kong via Gaborone with an immediate connection to our Cape Town-London flight," said Coghlan. "Our long range plan is to commence flights from Gaborone to New York and Los Angeles via Shannon Airport in Ireland where passengers will be able to pre-clear U.S. customs and immigration before they arrive in the U.S.," he added. Mr Coghlan claims that in addition to securing agreements with two unnamed regional carriers to feed traffic into his Gaborone hub from Lusaka, Harare and Johannesburg (Lanseria), Kalahari Airways research has shown that Gaborone's customer potential combined with the available passenger loads out of Cape Town, the flight will have full loads on every flight out. Kalahari Airways expects to attract premium class diamond industry, business and tourist passengers in Botswana and expects to generate USD200million per annum. With costly upgrades to Gaborone's Sir Seretse Khama International Airport still ongoing , Botswana's government has attempted to get a return on its investment by attracting more international traffic to the facility. Minister of Transport and Communications, Frank Ramsden, has reportedly held talks with major airlines in the past, among them Delta Airlines (DL) though in light of Johannesburg's proximity to Gaborone, nothing substantive has yet to come of those negotiations. September 30, 2013 (JUBA) - South Sudan health ministry has declared a national health emergency in the country following an outbreak of Polio, four years after it was declared free from the infection. Polio is also endemic in Ethiopia and Somalia.